I have a heavily used Equinox housing with the standard port for a Canon T3i. I am also including the Canon T3i (with two batteries and the charger) without a lens. I am unsure of the quantity of actuations on this camera, but it is quite low (i'm going to estimate approximately 10K). 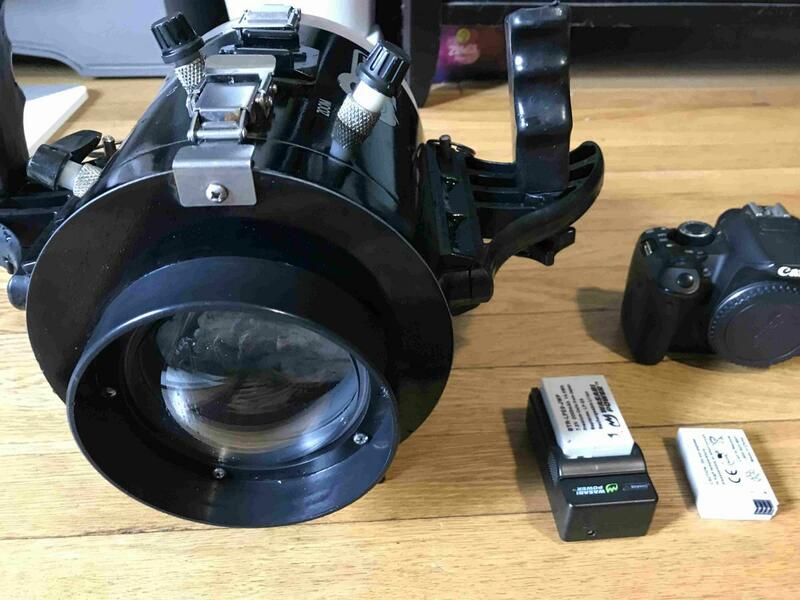 This system is not for a professional but rather for someone who is interested in getting into underwater photography and wants to learn. The system never flooded and is super easy to use! I am looking to sell it for $700 (housing + camera body) or Best Offer. If you are interested, please message me. I have a never used OpenROV system. This system comes with multiple sets of batteries (if I can figure out how to ship them) and two battery chargers. I also have a laminated set of instructions that I made that go along with the kit so you can operate the ROV. In addition, the OpenROV team sent me three additional propeller motors so I am going to throw them in as well. 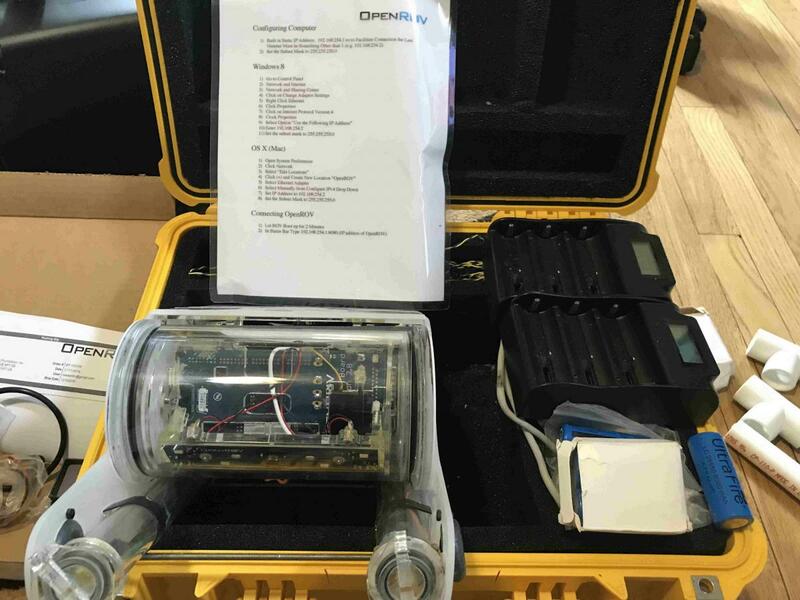 This system comes with a nicely maintained yellow pelican case so if you are into underwater exploration, this is a pretty cool piece of equipment. I am looking to sell it for $1000 or Best Offer. This is a random post but thought i'd see if there was any interest. About a year ago, I purchased an underwater hydrophone kit (SQ26-H1) to record whale and dolphin vocalizations and a lubell labs underwater professional speaker to reply these sounds (LL916H-025). This is a professional kit, but I never used this system and it is collecting dust. If you or someone you know may be interested in this, message me and I can give you all the details. Any interest? Open to offers!